Scott Derrickson‘s Deliver Us From Evil (2014) makes any true horror fan want to drool. The new movie poster instills that same creepiness and spookiness that all of the promos are showing. I may even go so far as saying, this is my most anticipated horror movie of 2014. This horror movie looks to be loaded with demons and demon possession goodness. 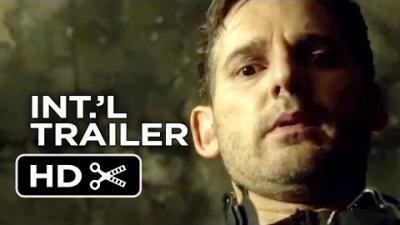 Deliver Us From Evil releases in movie theaters this July 2, 2014 and stars Eric Bana, Edgar Ramirez, Sean Harris and Joel McHale. Synopsis: New York police officer Ralph Sarchie (Bana), struggling with his own personal issues, begins investigating a series of disturbing and inexplicable crimes. He joins forces with an unconventional priest (Ramirez), schooled in the rituals of exorcism, to combat the frightening and demonic possessions that are terrorizing their city. Based upon the book, which details Sarchie’s bone-chilling real-life cases. 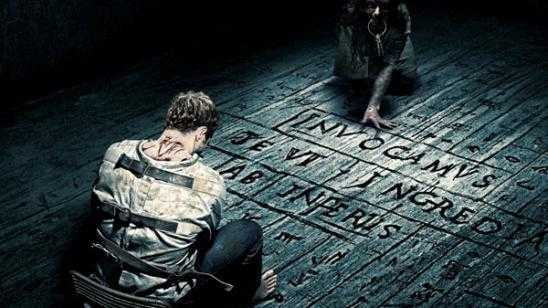 Official Synopsis: In DELIVER US FROM EVIL, New York police officer Ralph Sarchie (Eric Bana), struggling with his own personal issues, begins investigating a series of disturbing and inexplicable crimes. He joins forces with an unconventional priest (Edgar Ramirez), schooled in the rituals of exorcism, to combat the frightening and demonic possessions that are terrorizing their city. Based upon the book, which details Sarchie's bone-chilling real-life cases.